Artisan producers have built their businesses on supreme luxury, from leather shoes to sofas. Often, they are family businesses, where style and crafts have been handed down through the generations. Like the beautiful fabrics made by Italian mills for designer clothing and furnishings. Even if the top brands are out of your price range they can act as an inspiration and source of ideas when creating the look for your own home interior. Italy is famous for its luxury brands. Ferrari and Maserati cars as well as Valentino, Versace, Gucci, and Prada. If you can afford these, then you may also love pieces in your own home by famous interior designers. Some of Italy’s most renowned catwalk brands have expanded into homeware and furniture. As Milan is the design capital of Italy, this is where many Interior designers are based. Even some of Italy’s most renowned catwalk brands have expanded into homeware and furniture. One of the most notable is Missoni with its colourful zigzag design fabrics. More recently, Gucci have created Gucci Décor collection featuring bees, tigers, moths and snakes hand-printed on porcelain, candles, French screens, silk wallpapers or embroidered on cushions. Other famous furniture brands include Fornasetti, Marioni, Casamilano, Opera Contemporary and SELVA. Made in Italy furniture has earnt a name for itself because of its high-quality materials and design. 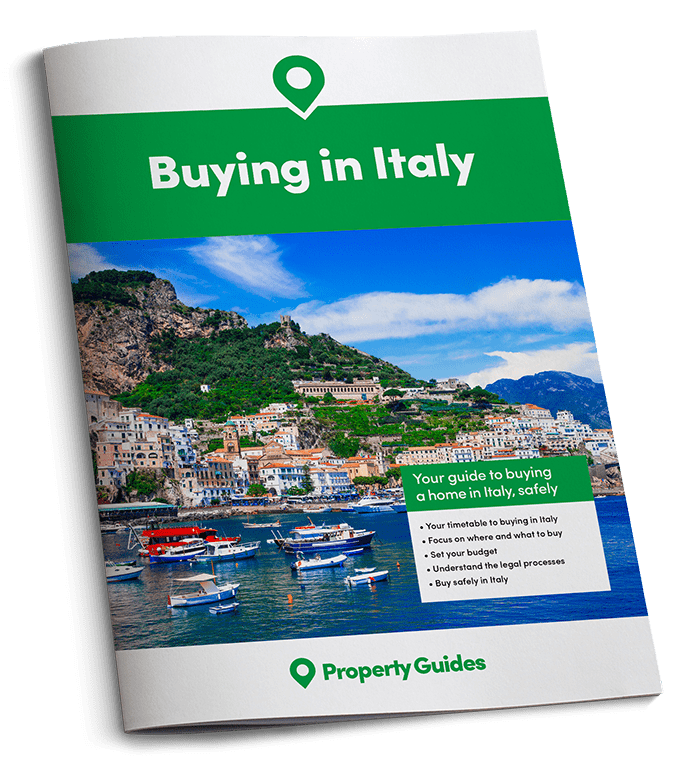 Ready to check out some Italian areas and properties? Get your free Italian Viewing Trip Guide today. The Salone del Mobile in Milan, is an important event for furniture and design companies. 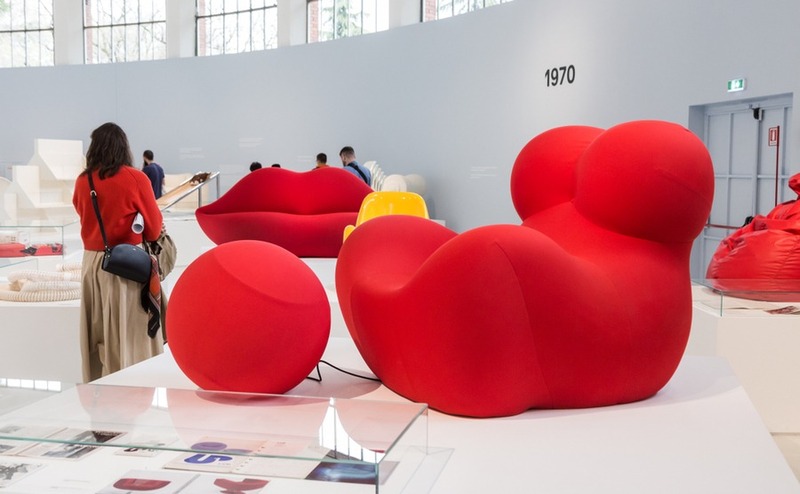 Every April the Milanese exhibition centre is turned into an international design centre with more than 370,000 people attending, from around 188 different countries. The Salone Internazionale del Mobile is split into three style categories. Classic draws on the values of tradition, craftsmanship and skill in the art of making furniture and objects in the classic style. Design are products that demonstrate functionality, innovation and a great sense of style. XLux is the section devoted to timeless luxury re-read in a contemporary way. As well as furniture and lighting, the International Furnishing Accessories Exhibition displays a wide variety of products, such as cushions, rugs, tapestries, sculptures, ceramics, stone objects, paintings and curtains. All of Milan gets involved, with thousands of tourists, students and enthusiasts also visiting the Fuorisalone exhibitions and events in the various Design Districts of the city. 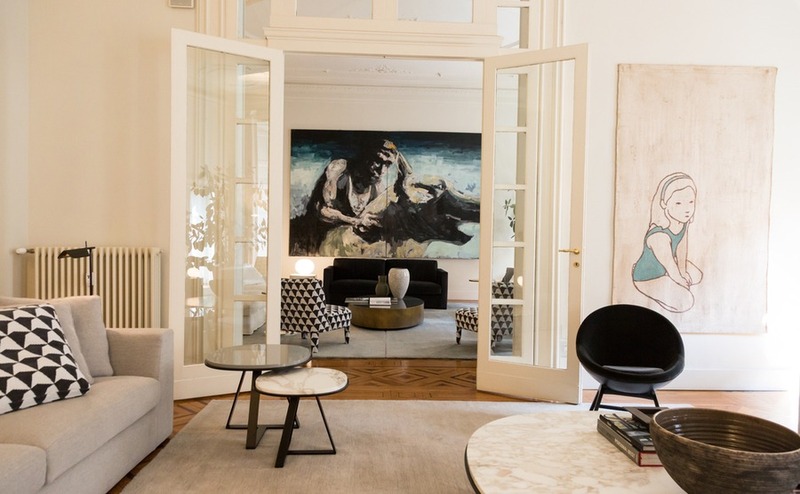 In the Brera Design District the theme in 2019 was “Design your life” inspired by a book by Bill Burnett and Dave Evans. They say: “If we adopted a design approach even in everyday choices, we would probably be happier and less stressed.” Every Italian home I have visited has that warm relaxed feel to it, ready to welcome friends and family at any time. Many Italian properties are more than just a group of box shaped rooms. 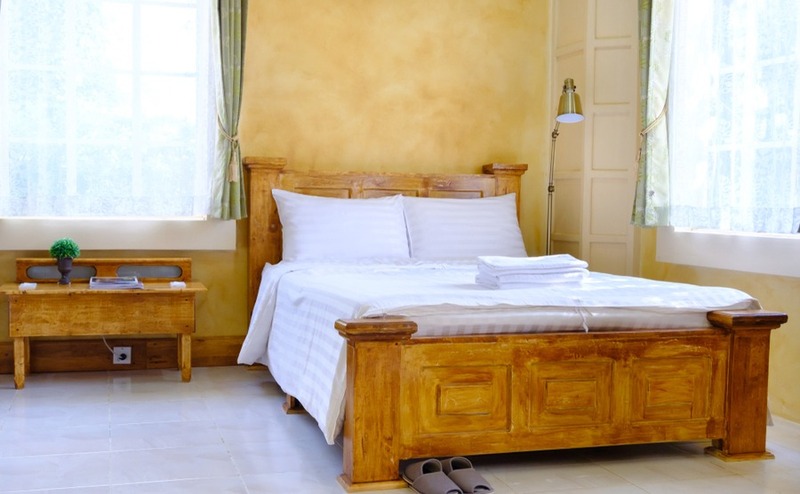 They have architectural features that give character, strength and warmth. These features might include exposed wooden beams, stone vaulted ceilings, arches, columns, fireplaces and frescoes. As Italian homes are often passed down through the family, they are more inclined to invest money in quality furniture, lighting, paintings and ornaments. Those who have a period property usually furnish it with antiques, grand curtains and paintings that reflect the traditional style. 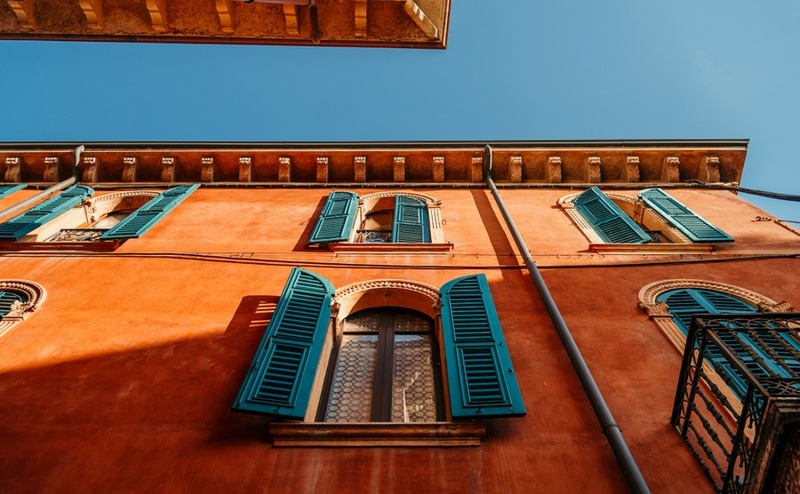 As Italian homes are often passed down through the family, they are more inclined to invest money in quality furniture, lighting, paintings and ornaments. I have been inside the town houses of elderly Italians and felt like I have stepped back in time. These palazzo houses look like palaces inside, with marble floors, frescoed ceilings, antique wooden furniture, statues and large gold framed paintings. They also love wall cabinets, sideboards and dressers, where they can display their silver and china ornaments. Glass topped display coffee tables also seem to a be a thing, where they put small ornaments given to them at First Communion parties. Curtains, blinds and shutters are very important to block out the heat of the summer. Curtains, blinds and shutters are very important to block out the heat of the summer. When they are open, however, they should also frame the view without distracting from it, using colours that compliment the vista. Positioning of furniture is often dictated by existing features such as fireplaces and doorways. In our own kitchen we have a star vaulted ceiling that comes down low in three corners of the room and the other corner has a fireplace. This makes it impossible to have any wall cupboards, so we have a dresser top and some shelving. A problem with old stone walls and floors is they are never level in any direction, so trying to attach tiles and kitchen cupboards to them can be a challenge. In many cases free standing cupboards are the only solution. You can always cover the uneven gap at the back of the worktop with a strip of wood. Make sure you get the best possible mortgage for your property by talking to your recommended Italian mortgage specialist. As Italian homes are generally designed to keep the sun out, indoor plants don’t do very well. Yet, Italian women love flowers, so they will have huge displays of very real looking artificial flowers. I saw one display last week, in a hallway, that was as big as a wardrobe. If the family have children they may even paint branches white and stand them in a large pot and decorate it to go with the season. For example, I’ve seen Easter eggs, Christmas bows and white fairy lights. Most homes will have a covered outdoor area where you can put pot plants. Whether it’s a roof terrace, veranda, courtyard, or balcony, these outside areas are often an extension to the living area and are also nicely furnished. The flooring may at first seem cold to the British, who are used to wall to wall carpets, but in the winter months Italians will use large rugs, that also add interest and colour. No expense is spared on flooring in Italian homes. Once it is down it is there forever. Solid wood, parquet, terracotta bricks, stone and marble are all popular. As these are all very solid materials, a cheap bit of vinyl or a melamine cupboard would really look out of place here. Furniture in solid wood with some stone or ironwork works best. As young Italians usually live in city apartments, this is where you will find the ultra-modern interiors. Young Italians generally love a sleek and shiny look with curves. All white is popular, with a splash of colour on cushions and artwork. I’ve seen kitchens with ultra-glossy cupboard doors in white or a deep red wine colour. For the modern Italian, less-is-more. A few quality designer elements can stand out beautifully in an otherwise plain room. Even in older properties they still manage to combine old and new, by choosing modern furniture and fittings that are well made and blend in with the colour scheme. This often means white, beige, wood shades or a terracotta red. A recent trend is for grey patterned hexagonal floor tiles, with various designs mixed randomly. Glass table tops on metal legs are also popular, as well as metal Monoblock shelving. For the modern Italian, less-is-more. A few quality designer elements can stand out beautifully in an otherwise plain room. Beautiful hand-painted ceramics, sumptuous silk cushions, modern art and rugs in bold colours complete the look and reflect the personality of the owner. Considering it’s Nonna who, more often than not, does the cooking for the family, she always seems to have the smallest kitchen. But then she does like to have everything close at hand. A more recent trend in small kitchens is to have a “Boiserie”, a wooden back panel between the base units and top cupboards, that can have shelves and hooks attached to it. However, Italian families are now beginning to insist on larger kitchens to allow room for electrical gadgets like coffee makers and juicers. Peninsulas dividing the kitchen from the dining area have also become popular. Another lovely modern Italian interior design feature is having a fireplace between the kitchen and dining room that is open on both sides. While you can get away with fairly affordable kitchen cupboards, it’s worth splashing out on good solid worktops in wood, marble or stone. Italian families always have huge comfortable sofas and large extendable dining tables; the bigger the better. In fact, the dining room is generally the biggest room in the house and will also have big wall cabinets or sideboards. An Italian home is always ready to welcome family and friends for lunch and there is never a shortage of chairs. Tables usually have a central cloth and either a vase, fruit bowl or piece of china on display. The colour scheme of the main living areas of an Italian home generally compliment any wood, terracota or stone architectural features. Mostly in modern Italian interior design you will see white painted walls and very neutral colour schemes and sun-baked tones. Pale greys, creams, beiges, golds and browns all go well with the relaxed natural look, and never go out of date. Black or distressed metal door handles, curtain rails, stair rails, lamps, candle holders and even decorative metal panels can add contrast, both in colour and texture. For a splash of colour most Italians look to the fruit, vegetables and plants they see in the countryside. The red of grapes, the green of olives and the yellow of lemons may feature on upholstery, cushions, ornaments and paintings. Sky blue, grey and green is also used on doors and windows. Italians have been known to go a little over the top with colours and patterns in the bathroom. Maybe, it’s to discourage family members from spending too long relaxing in the bathroom. Interior design magazines are tipping this year’s fashionable colours to be caramel and pomegranate. But, when it comes to bathroom tiles and children’s bedrooms, Italians have been known to go a little over the top with colours and patterns. I’m not sure why that is. Maybe, it’s to discourage family members from spending too long relaxing in the bathroom. Italy tends not to have many national retail chains. You are more likely to find local family-run furniture stores and small gift shops selling kitchenware and interior design elements. They always give a friendly service and go to a lot of trouble to gift wrap small items. Some Italian furniture shops were badly hit when Ikea opened in Italy. Sadly, many foreign property buyers will turn to Ikea as it is a brand they recognise. But, it is worth getting local recommendations and searching out the Italian stores. Mondo Convenienza is one successful Italian store that has branches across Italy and offers low prices. The really low priced furniture tends to be found in large supermarkets, DIY stores and “convenienza” shops that sell all kinds of cheap items for the home, from kitchen utensils to garden furniture. Other Italian furniture stores to look out for are Chataeu-dax, Divani &Divani and B&B Italia. When ordering furniture in Italy always ask if it is in stock and immediately available for ‘pronta consegna‘. Many furniture showrooms will take your purchase order and deposit, and then the manufacturers will make it for you. In my experience the salespeople tend to underestimate delivery dates. Also, as most Italian factories close down for summer, an order placed at the beginning of July could take a couple of months. Big DIY stores are great for most home decorating needs. BRICOCENTER has the largest chain of DIY stores in Italy with 65 stores across the country. Most of their stores are in the north and centre of Italy. They sell essential DIY, repair, maintenance and renovation solutions and home/garden consumables. Product services often include paint colour mixing, custom frames, custom made blinds and wood and glass cutting. LEROYMERLIN has 48 stores across 12 regions of Italy. Although French, 80% of its suppliers are Italian and they use over 500 local artisans for home installation services. Leroy Merlin covers four main areas; DIY, building, gardening and home decoration. These include bathrooms and accessories, kitchens, paints, lighting, tiles, curtains, rugs, shelving etc. products and prices can be found on their website. The colour scheme of many Italian homes is illustrated by the stores curtain range, which mostly stocks white and grey and other fairly neutral colours, such as beige, blue and brown. I haven’t personally seen any second-hand furniture shops in Italy, although I have heard that one has recently opened in my region. I haven’t even seen a charity shop either; I think the UK has the monopoly on those. The main marketplace for second hand furniture seems to be Subito.it. You can also find local expat pages with “for sale” sections. If you are lucky, there will be a reclamation centre in your area, but there aren’t many of those about either. For old furniture and interesting items to decorate your home it’s worth visiting an antique market, which are usually held on one Sunday a month. You can often find some culturally and historically interesting pieces that will give any room an Italian feel. Scrap metal yards are also worth a visit, as they put aside anything they think might sell, such as gates, outdoor light fittings, window grills, fire grates, scaffolding etc. Even a small bit of decorative metal work can look effective mounted on a plain white wall. You should also keep your eyes open when you go past bins in the countryside. We have found some lovely large green demijohn wine bottles. For more Italian Interior design inspiration visit a kiosk next time you are in Italy and buy an Interior Design Magazine. Case & Country is a magazine focused on Italian homes and their Italian style, particularly in the countryside. Ville&Casali covers furniture, building, gardening and country living. Ville e Giardini is the place to discover Italian style in luxury homes and gardens. Corriere della sera Living for inspiration from Italy and abroad. CasaFacile for the latest trends. Unimpressed by the interiors of houses you’ve viewed? When viewing houses in Italy you are likely to see some horrendous interiors. Don’t be too quick to judge Italian interior design based on this. This is because Italians rarely put their main residence up for sale. The home they have invested their money in, is more likely to be in town, and will be passed down through the family. The houses you see for sale online are, in the main, people’s country buildings, holiday homes or properties they have inherited and left vacant. Often, they’ll have only used them for summer breaks or to store farm equipment, so haven’t spent money on them. But, if you can look past the shabby décor and furniture, and those awful bathroom tiles, you will see the potential to create your dream home. It’s fantastic when you can justify redoing the whole house with your own design choices, and when it’s finished it really feels like home.